The Hardy perennial lavender is a beautiful, fragrant and useful plant to grow in the garden. 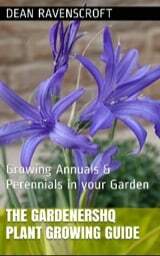 Check out my specific guide to growing Lavandula angustifolia. They carry tubular lavender (or blue or purple) flowers from the end of spring to the summer. It is a great plant to grow in the herb garden. To harvest the flowers of lavender for culinary use, remove them just as the buds are opening: remove the flowers from the stems, and keep them in a dry place for a few weeks. Life Cycle: Hardy perennial. Hardy Annual. Flowers: Late spring through to summer. Flower Details: Lavander, blue, purple. Tubular. Tiny. Whorls. Clustered. Fragrant. Foliage: Narrow. Some species pinnate. Fragrant. Sow Outside Cover seed. Start of spring - before the last frost, or the beginning of autumn. Spacing 14 to 18 inches (35 to 45 cm). Sow Inside: Germination time: two weeks to three months. Temperature: 60 to 65°F (16 to 18°C). Mix seeds in a moist growing medium, place in a freezer bag, then stratify by refrigeration for five to six weeks. Seven or eight weeks in advance. Transplant outdoors following the last frost. Requirements and care: Full sunlight. Good drainage. Soil pH 6.5 to 7.5. Ordinary soil, sandy soil, poor soil. Prune in early spring. Prune flower stalks once flowering has completed. Propagate: by taking cuttings in either spring or summer. Miscellaneous: As the flowers produce a lot of nectar they are very attractive to bees. Flowers have culinary use and in olden days were used as an alternative to garlic. 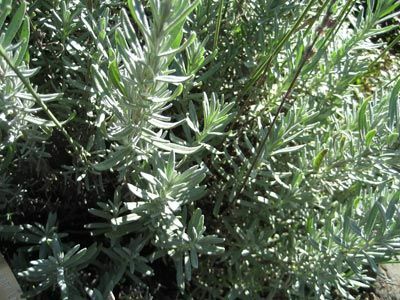 The Lavandula genus has many medicinal uses and produce an essential oil that has antiseptic properties; lavender oil is also used in products such as balms, perfumes and cosmetics. As it is a highly fragrant plant, lavender is often dried and used in potpourri. It is best to sow Lavender (Lavandula) seeds either before the last frost of spring or in the autumn. Once sown lightly cover the seed. They should be grown in a sunny are of the garden that has good drainage. They prefer a poor soil and fertilizing the plants will result in less fragrant lavender flowers! You can grow lavender indoors (for transplanting later or keep indoors) first. The seeds should be imbibed by placing the seeds (within soil) in a black plastic bag, then placing in the fridge for five weeks. Keep the soil at 12 to 18 degrees Centigrade following refrigeration; it should take two weeks to three months to germinate. The lavender should then be planted in the garden with a spacing of 40 cm. 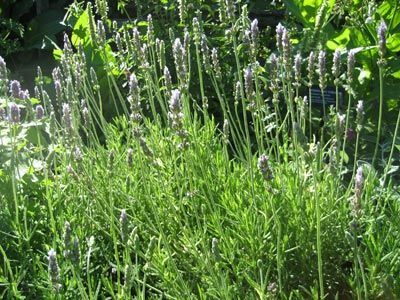 Once growing in the garden the lavender plants should be pruned heavily at the start of spring, and flower stalks removed once they have died. If you require more plants then they can be had from cuttings in spring or summer.